Mid-Cal Construction served as the pile driving contractor for the Federal Power Tower Expansion, crossing the San Joaquin Delta near Discovery Bay, California. 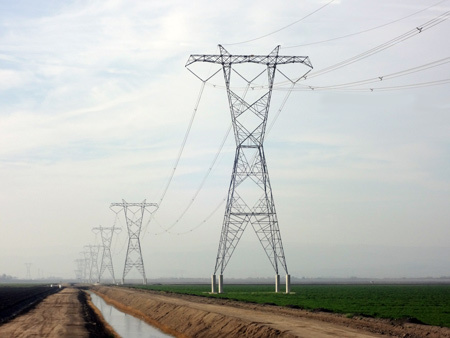 During the first phase of the project, Mid-Cal served as one of two subcontractors charged with installing piles for the power tower foundations. However, due to Mid-Cal Construction performing far beyond any expectations, the Western Area Power Administration pressured the general contractor into expanding Mid Cal’s scope of work, much of which was intended to be performed by the second pile driving subcontractor. When the second phase came the following year, the Power Administration dismissed the original general contractor due to poor performance. However, Mid-Cal’s stellar performance still resonated. The award for the second phase of construction to Brink Electric came with a condition, that Mid-Cal Construction was to be hired on as the pile driver and foundation subcontractor.